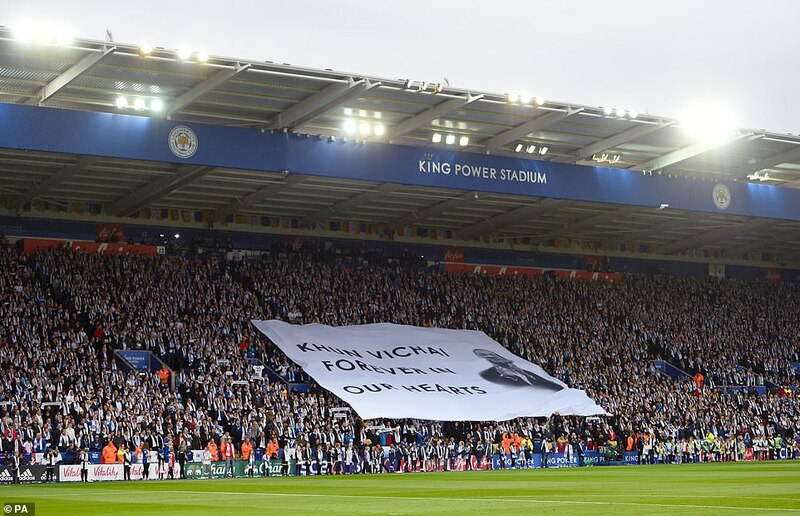 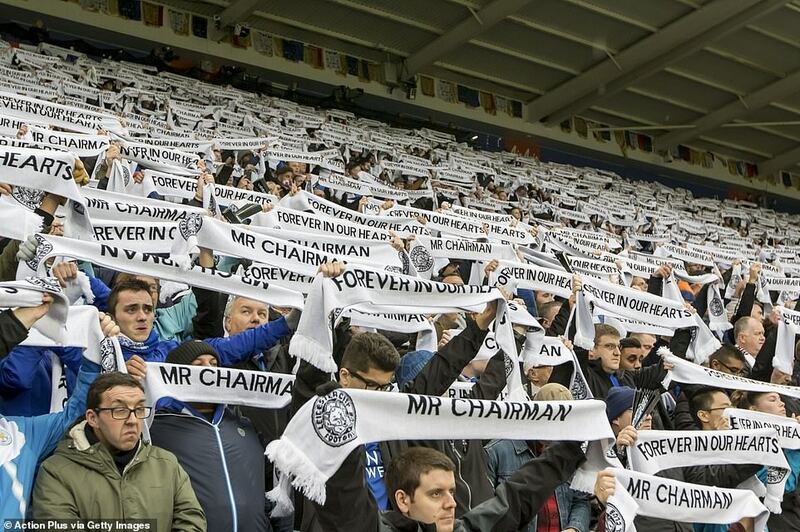 With football kits from many different clubs ringing the perimeter of the pitch, a huge banner was unfurled reading: “Khun Vichai, Forever in our Hearts” as former Leicester managers including Premier League-winning Claudio Ranieri looked on. 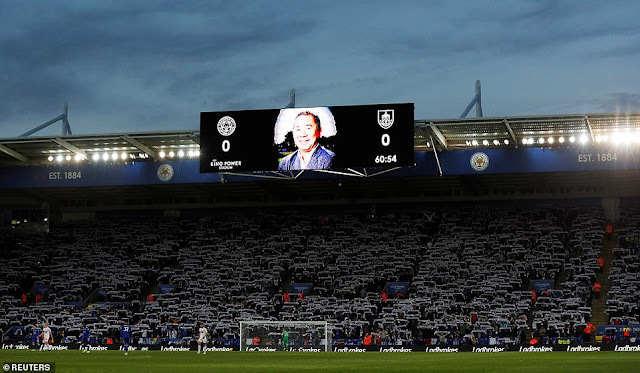 Vichai’s son Aiyawatt, the club’s vice-chairman who is known as Top, carried out one of a series of floral tributes. 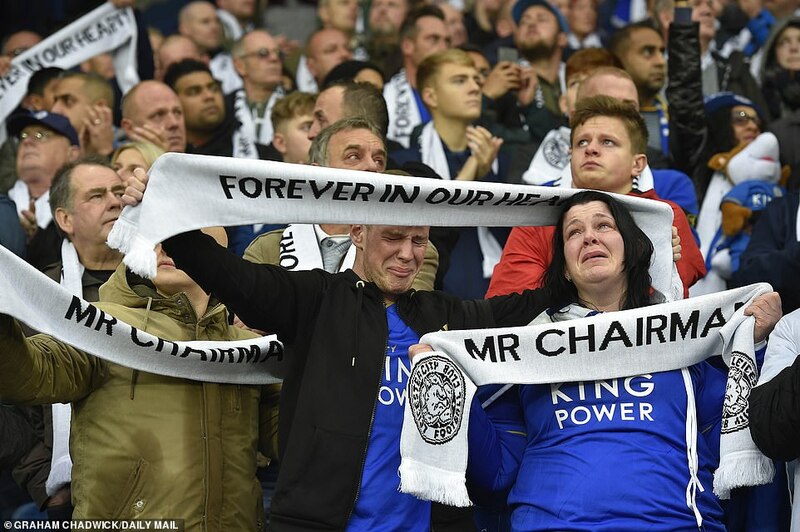 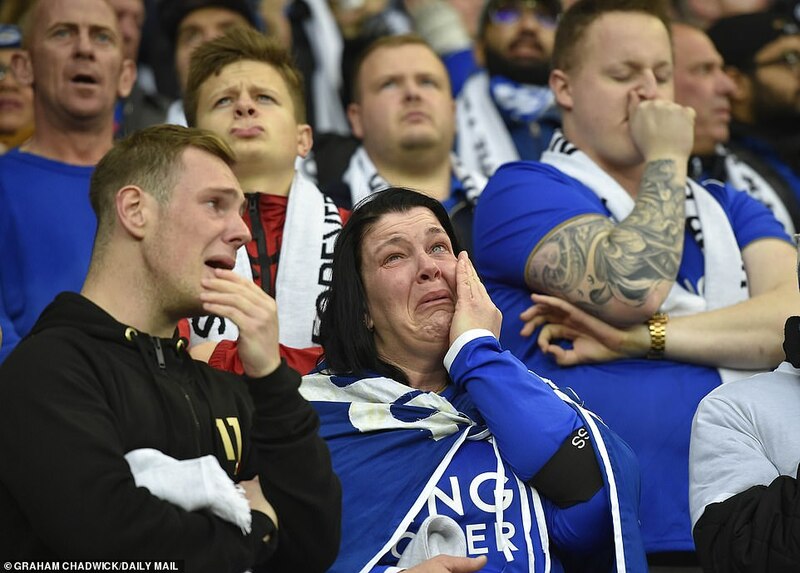 Earlier, supporters braved the pouring rain as they made their way through the streets towards the ground holding Leicester flags and wearing club shirts, some with “Vichai” on the back. 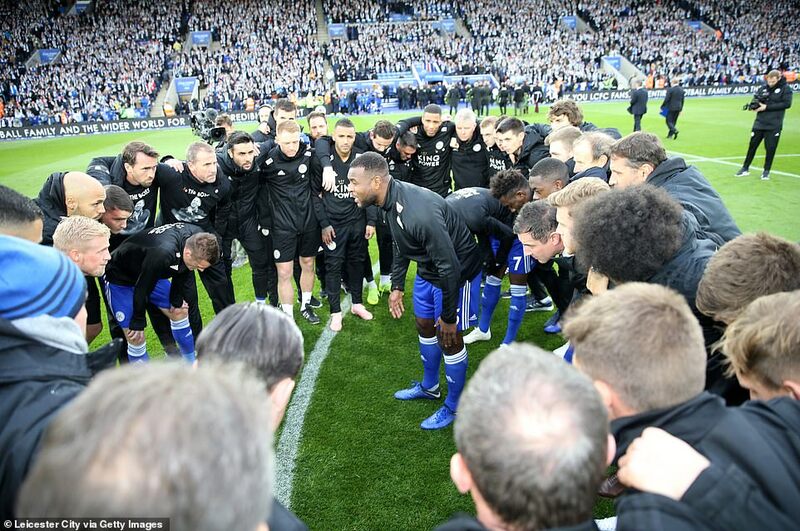 The team, 10th in the Premier League going into the weekend’s fixtures, returned to action last weekend, beating Cardiff 1-0 away from home. 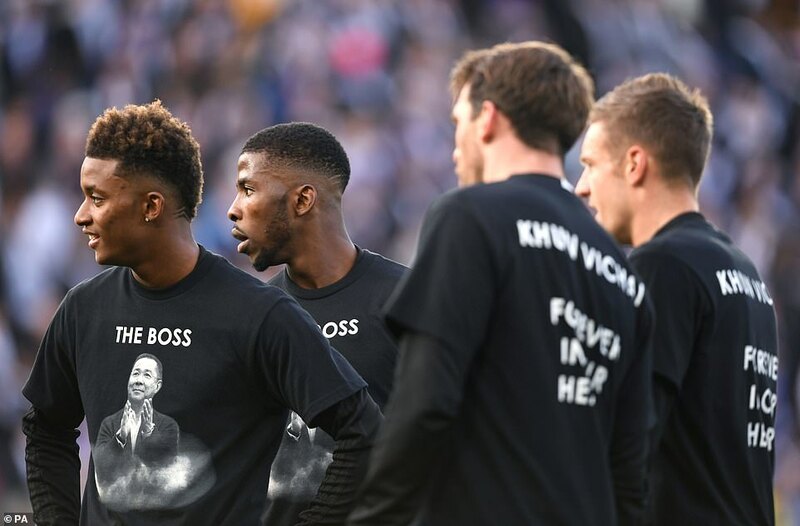 A number of players, including Jamie Vardy and Kasper Schmeichel, and manager Puel then travelled to Thailand to attend Vichai’s funeral. 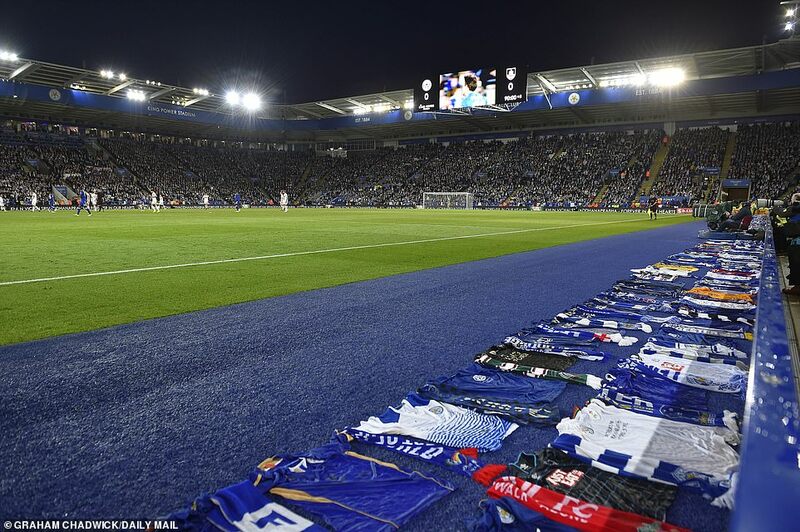 Mourners have turned Leicester’s stadium into a shrine, carpeting the ground with floral tributes and messages of thanks.